For the ship-owner, see Jean Guiton. For the dramatist, see Jean Guitton (dramatist). Jean Guitton (August 18, 1901 – March 21, 1999) was a French Catholic philosopher and theologian. Born in Saint-Étienne, Loire, he studied at the Lycée du Parc in Lyon and was accepted at the École Normale Supérieure in Paris in 1920. His principal religious and intellectual influence was from a blind priest, Francois Pouget. He finished his philosophical studies in the early 1920s and later became a professor in many French universities. During World War II, he was made a war prisoner by the Nazis. In the year 1954, he earned a literary award from the Académie française. From 1955 to 1968 he continued his works as a professor of philosophy at the Sorbonne. He became a member of the Académie française in 1961. 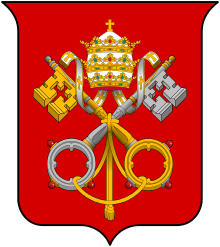 Invited as an observer to the ecumenical council of Vatican II, the first lay person to be granted this honor, he would become a close friend of Pope Paul VI. He died in Paris at 97. During his life, he was also awarded the Great Cross of the National Order of Merit, Commander of the Légion d'Honneur and of the Arts and Letters Medal. In most of his works, Jean Guitton writes about and discusses the confrontation between human faith and human logic. He wrote around fifty books.